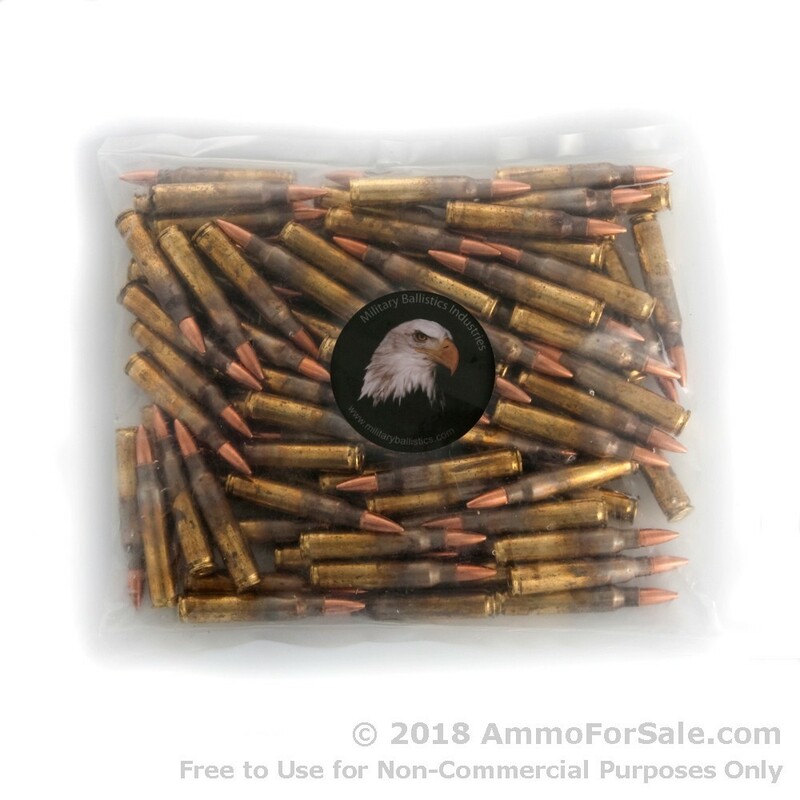 100 Rounds of Discount 55gr FMJBT .223 Ammo For Sale by M.B.I. 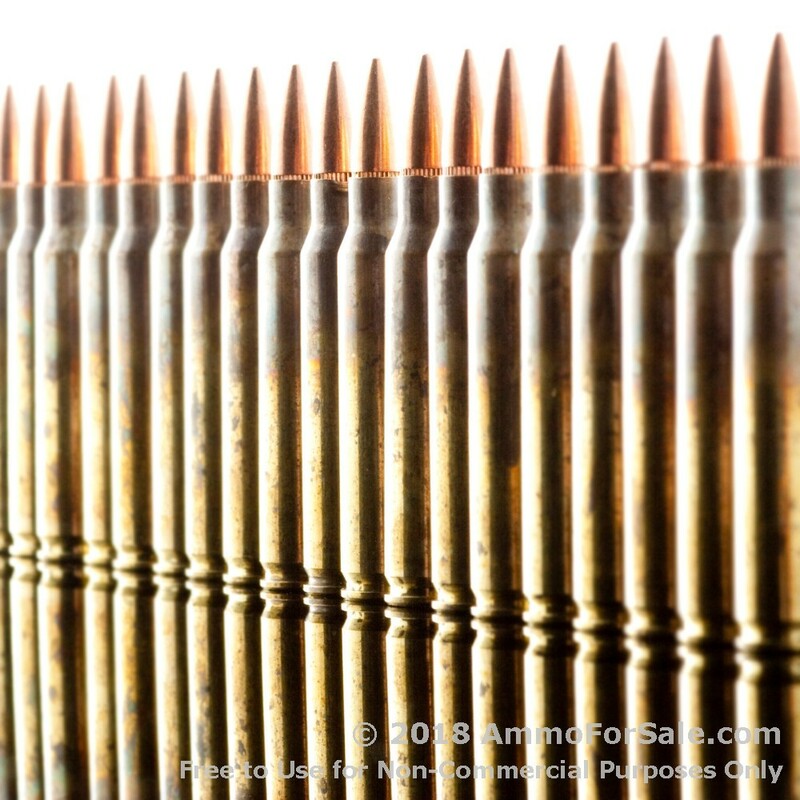 100 Rounds of 55gr FMJBT .223 Ammo by M.B.I. It was 1958 when Armalite built the first AR-15 for the US Military; the design was sold to Colt soon after, and before long it was on the civilian market as well. Your hard-hitting AR-15 is an intermediate cartridge, magazine-fed, air-cooled rifle, and there are numerous versions of it available today. Whether you have one AR-15 or two (or more), you want to keep it well fed. That, and you want to go out and blow major holes in some stationary targets. 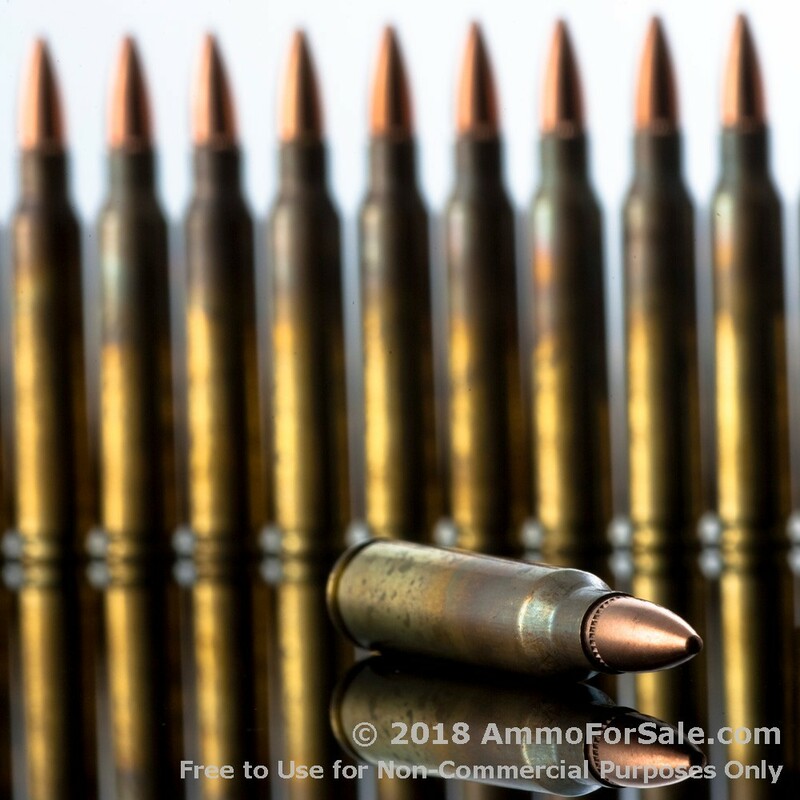 In order to satisfy both you and your rifle, try these remanufactured rounds. When it comes to precisely made remanufactured ammunition, M.B.I. is considered a leader in the industry. 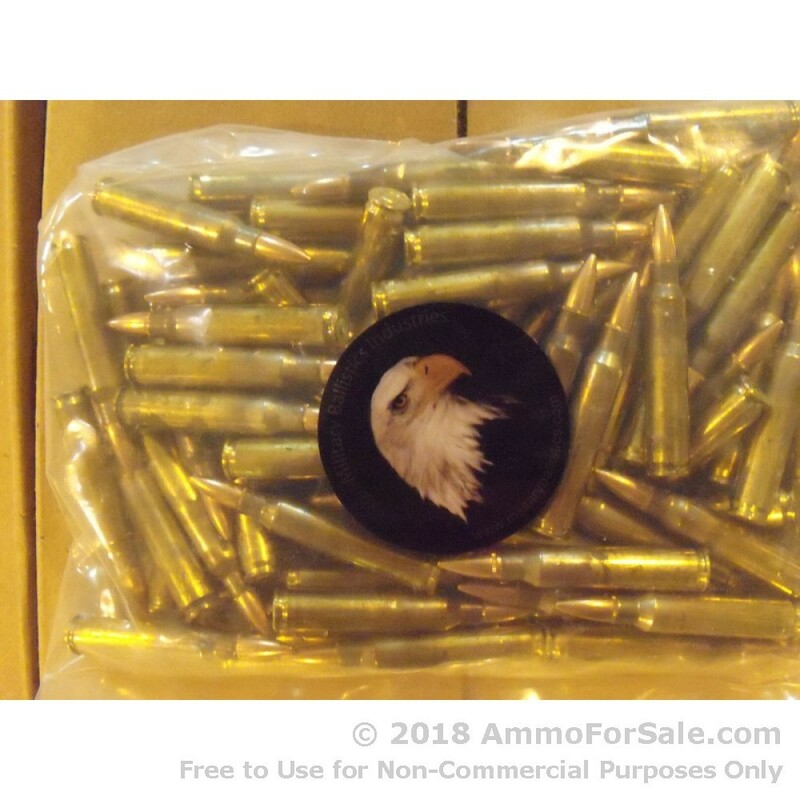 They’re an American company with a dedicated following, including law enforcement agencies and branches of the military, and they understand the importance of creating affordable, well-made ammunition. These once-fired brass cases are carefully selected to ensure quality, and M.B.I. uses boxer primer, so these can be reloaded again. The other components are new and chosen for excellence, from CCI primers to Hornady bullets. M.B.I. has a solid reputation for quality and if you order this sealed plastic bag of 100 rounds, you’ll see why. 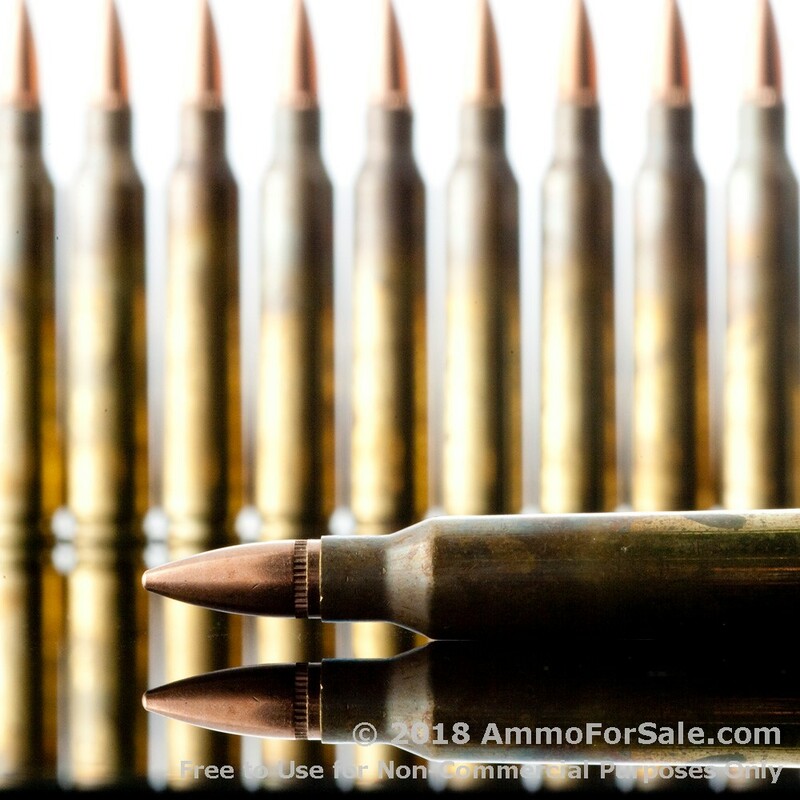 Your .223 possesses some compelling force, and with this ammunition you’ll get speed and energy to spare. These FMJBT rounds are a wise choice for target practice and tactical training, and can also be used for a relaxed day of plinking. At 55 grain, they’re lightweight, and that means they’re fast. They don’t expand on impact and their boat tails help them resist cross-winds and have an increased ballistic coefficiency, making them a nice choice for honing your long-range skills. Don’t let anything stand in the way of spending time firing your AR-15. Buy a bag of M.B.I. quality remanufactured rounds today and go shooting tomorrow. 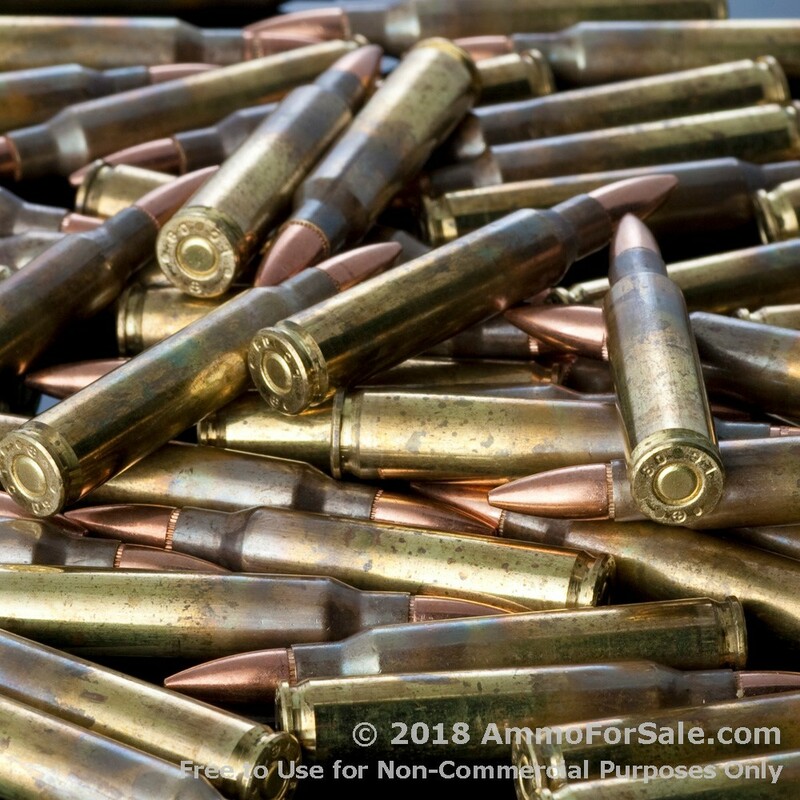 Add a Question about 100 Rounds of 55gr FMJBT .223 Ammo by M.B.I.